September 2017 - Previous Photograph Competitions - Military Airshows. 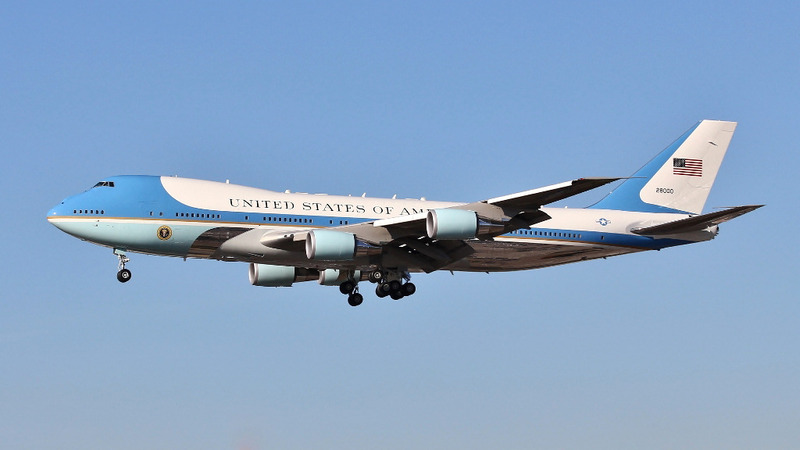 AIR FORCE 1 on short-finals at LAX taken last year, with my trusty companion, Canon EOS700D, and 70-300 IS USM lens! F-86A Sabre at the Kemble Airshow 2009. Taken on a Nikon D50 with Sigma 135-400mm lens. Keith Griffiths P-51D Mustang at the Llandudno Airshow 2015 (The Mustang did serve with the USAF in the air national guard from Jan 1948 - March 1953). Canon 70D using a Canon 100-400L IS lens at 1/125th - f/13. Mike Ellis USAF Thunderbirds photographed at RAF Waddington, 2011. Phil Catleugh A bit of pure nostalgia. Douglas RB-66B at RAF Alconbury 1964. Pentax H2 camera Kodachrome slide film. Roger Leitch P51 & F22 duo, taken at RIAT17 using Sony a99ii & Sigma 50-500mm. Thunderbirds at RIAT 2017. Nikon D750 with a Nikkor 200-500 mm f5.6 lens. Terry Crocker F-16 Thunderbirds Five and Six Mirror pass on Saturday at RIAT Fairford. Nikon D700 Lens Sigma 150-500. (sent too late to be judged).